Mark Allen believes he can win a major tournament and feels like he is finding his best form ahead of the Masters' quarter-final against Barry Hawkins. 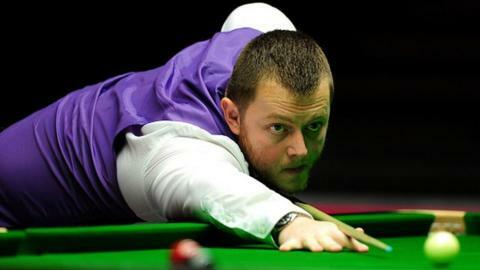 The Antrim man beat defending champion Shaun Murphy in the first round and faces Hawkins on Thursday evening. "I didn't feel at my best heading into that Murphy match but a couple of days on the practice table since and I feel I'm getting closer to it," he said. "If I produce my best I can definitely win one [major]". Allen has never won a triple crown tournament of either World Championship, UK Championship or Masters, a statistic he is keen to end in Alexandra Palace this week. "In my matches I haven't necessarily been at my best but I've got to a lot of later stages of events this season which shows you where my game is at. "Perhaps I haven't showed it in my matches, but I know that I've got the game to win these big tournaments."